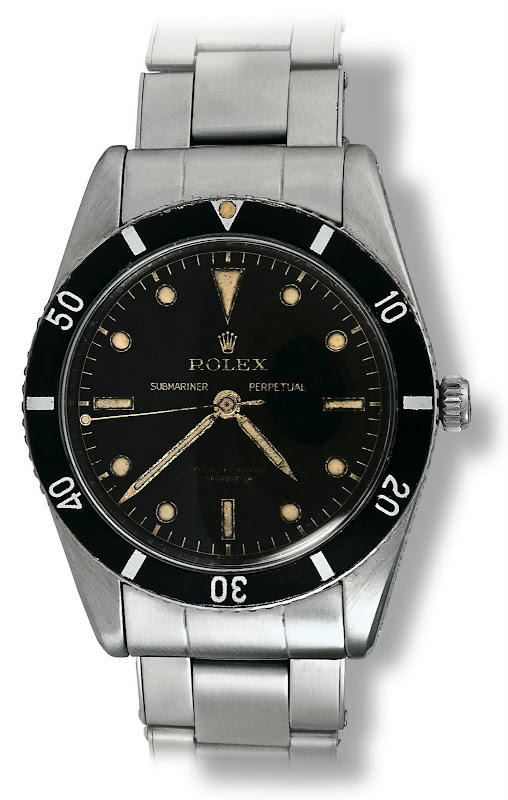 This is a photo from Rolex of the very first Rolex Submariner ever made in 1953. 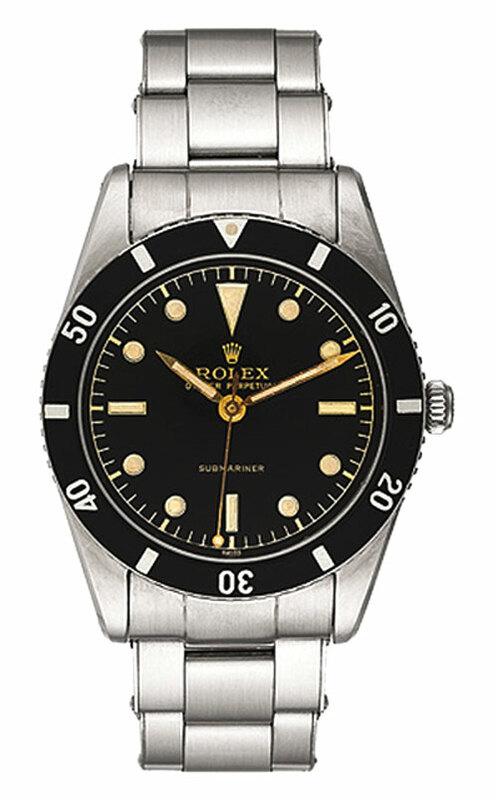 It is remarkably similar to modern Submariner watches from a distance, which is what gives it such a timeless appeal. Notice there are no single track minute markers on the bezel from 0 to 15 minutes. Also notice there is no Mercedes logo circle on the hour hand, instead it has "pencil hands." The second hand is a small lollipop type with the second circle located way out at the end of the second hand. Also notice it has a guilt dial and hands, and also notice there is no depth rating or COSC designation on the dial, and of course, it has no date. 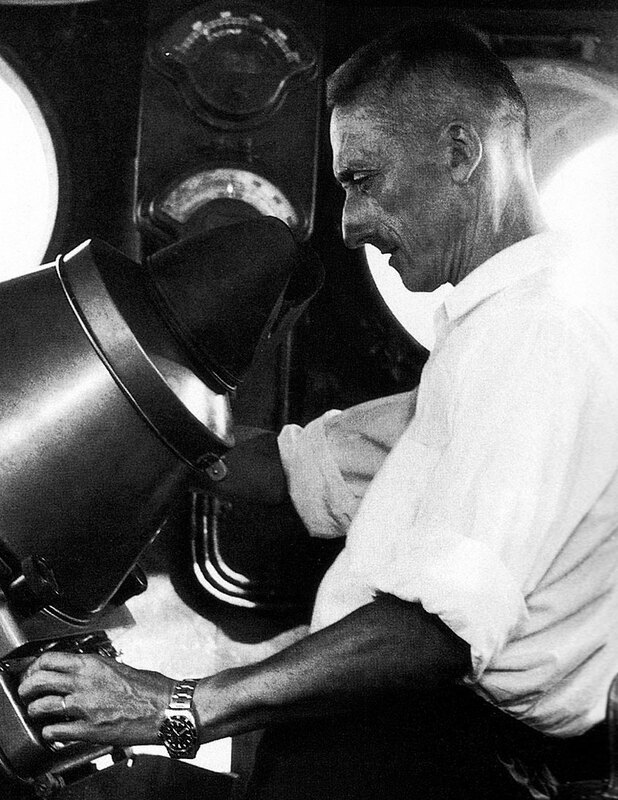 I just updated the Jacques-Yves Cousteau story with the image above, and you see Commander Cousteau aboard his Calypso research ship during the filming of the Academy Award Winning "The Silent World" documentary in 1953, and he is wearing this same model.